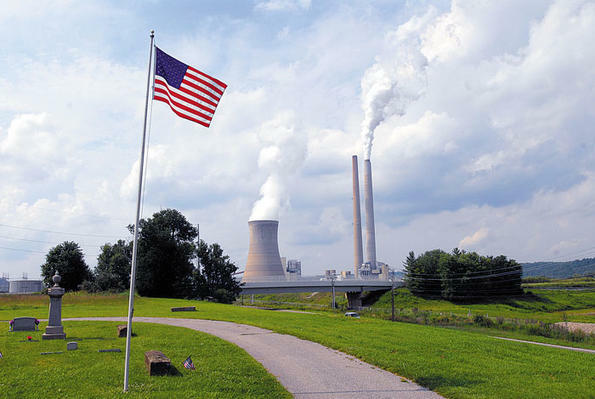 August 12, 2010 by Ken Ward Jr.
An Obama administration task force has concluded that carbon capture and storage, or CCS, is viable, especially if the federal government beefs up its efforts to encourage the technology. Of course, this is the very thing that many in the coal industry — and many of the industry’s political supporters, including West Virginia Sens. Jay Rockefeller and Carte Goodwin — oppose. Though CCS technologies exist, “scaling up” these existing processes and integrating them with coal-based power generation poses technical, economic, and regulatory challenges. In the electricity sector, estimates of the incremental costs of new coal-fired plants with CCS relative to new conventional coal-fired plants typically range from $60 to $95 per tonne of CO2 avoided (DOE, 2010a). Approximately 70–90 percent of that cost is associated with capture and compression. Some of this cost could be offset by the use of CO2 for EOR for which there is an existing market, but EOR options may not be available for many projects. — CCS is Viable: There are no insurmountable technical, legal, institutional, or other barriers to the deployment of this technology. — A Carbon Price is Critical: Widespread cost-effective deployment of CCS is best achieved with a carbon price, but there are market drivers and actions that can and are taking place now, which are essential to support near-term CCS demonstration projects that will pave the way for broader deployment after a carbon price is in place. — Federal Coordination should be Strengthened: With additional federal actions and coordination, the task force believes our nation can meet the president’s near-term goal and get 5-10 commercial demonstration CCS demonstration projects online by 2016. The report recommends the creation of a standing federal agency roundtable and expert committee to facilitate that goal. — Recommendations on Liability: The task force conducted an in-depth analysis of options to address concerns that long-term liability could be a barrier to CCS deployment. It concluded that open-ended federal indemnification is not a viable alternative but that four approaches merit further consideration: relying on existing frameworks, limits on claims, a trust fund, and transfer of liability to the federal government (with contingencies). Efforts to improve long-term liability and stewardship frameworks led by EPA, DOE and the Department of Justice (DOJ) will continue in order to provide evaluation and recommendations in these areas by late 2011. These recommendations mark an important step forward in combating climate change and strengthening our economy through green jobs – top priorities for this administration. Consistent with these recommendations, EPA is proactively developing regulations tailored to carbon storage technology that will reduce uncertainty for early projects and help to ensure safe and effective use of the technology. By encouraging efforts to develop clean coal technology we will obtain new tools to reduce greenhouse gas emissions, create jobs, and make our nation more competitive in the global race for clean energy technology. I know that the idea of capturing and sequestering CO2 makes it feasible for politicians from coal states like WV to support energy bills that address the issue of greenhouse gases like CO2. But realistically, if we can’t agree on how to store nuclear waste safely, how can anyone be foolish enough to think that we can store a gas for an indefinite period without having it leak into the atmosphere? Don, I think you have the politics well nailed down. On the technical side, if you want to see the opinions of a lot of well-credentialed people on the feasibility of CCS, check out the research library I accumulated at http://www.acccforum.com. There is a heck of a lot of nuclear waste stored in this country and around the world, and in general it’s been pretty safe (so far).